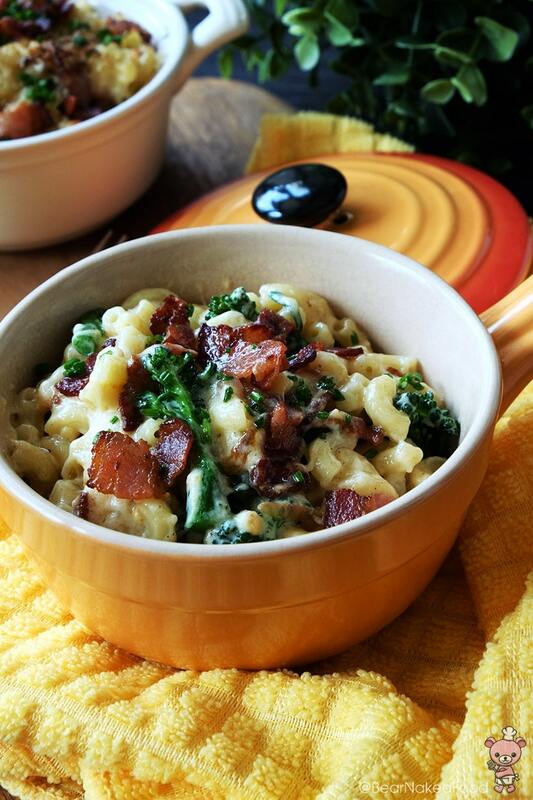 If you are a pasta and cheese lover, then today’s Double-B Mac and Cheese recipe is made for you! Any guesses what “Double-B” am I referring to? Netspeak for baby? Blackberry? Okay, I admit I’m kinda lame (sometimes). As testified by my family. 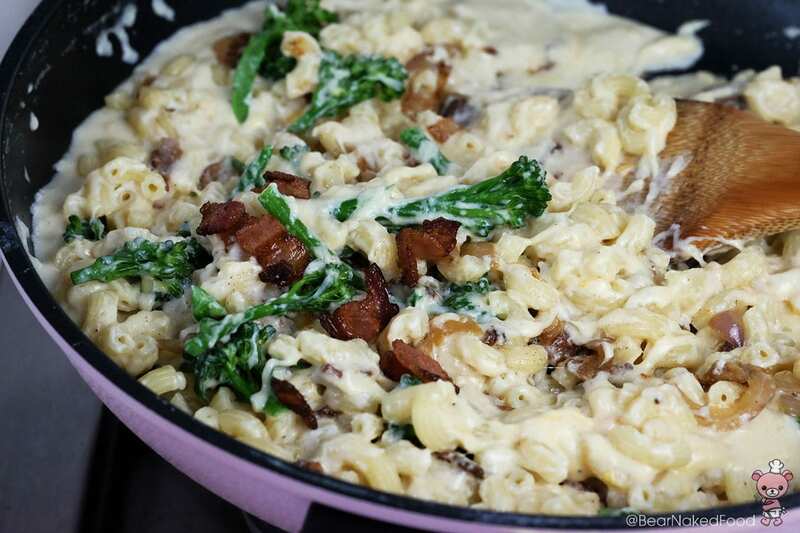 “Double-B here means Bacon and Broccolini. 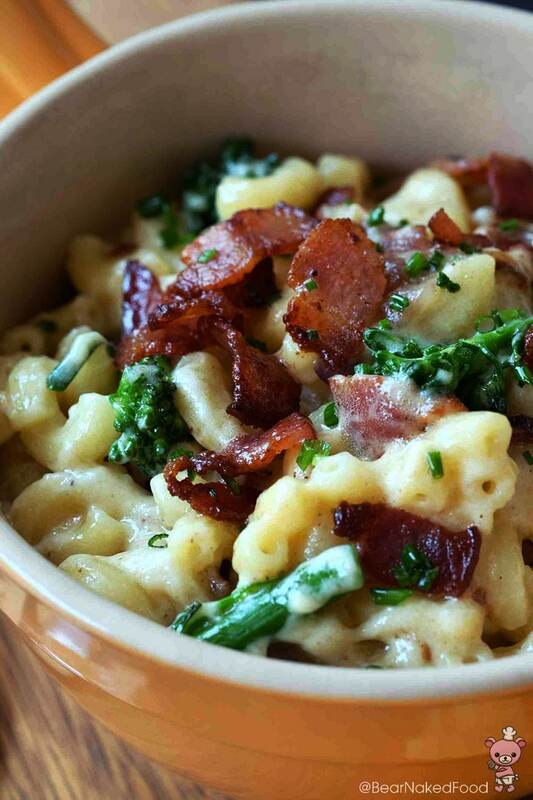 Bacon just makes everything taste better and recently, I’ve been going town at broccolini. 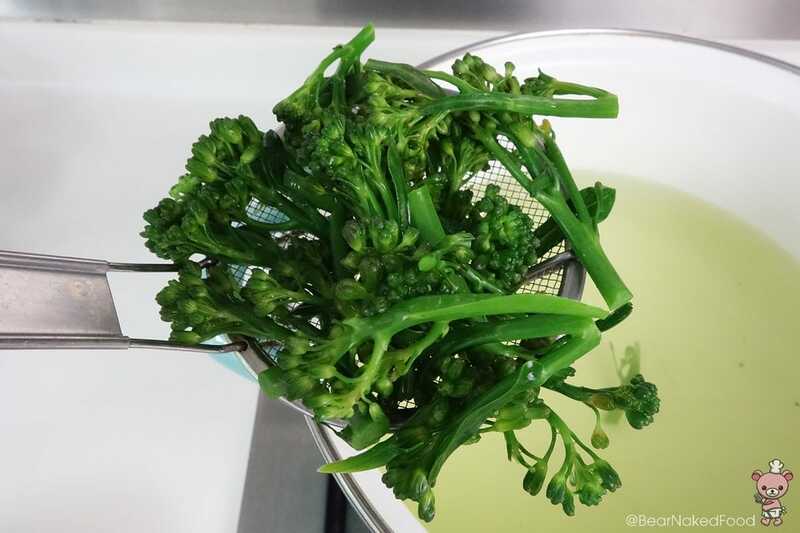 You would think they are baby broccoli but in fact, broccolini is hybrid of broccoli and kai-lan. 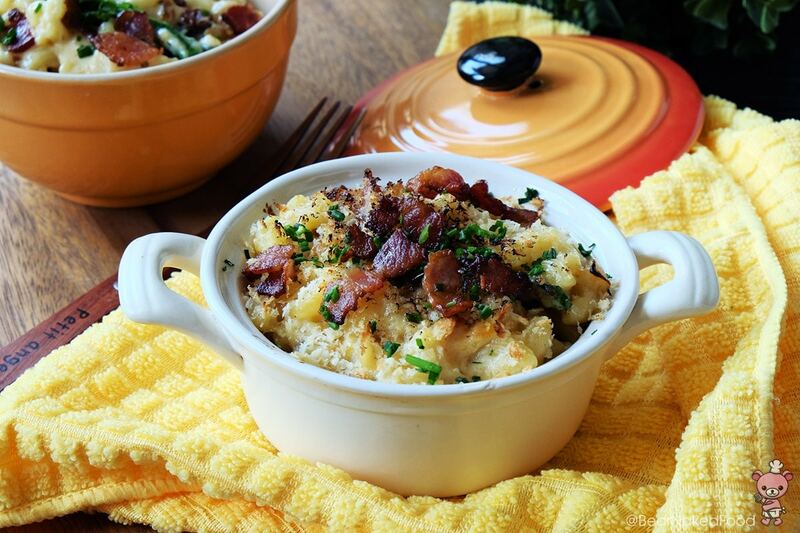 The classic Mac and Cheese recipe consists mainly of cheddar cheese and finishes off by baking in the oven. 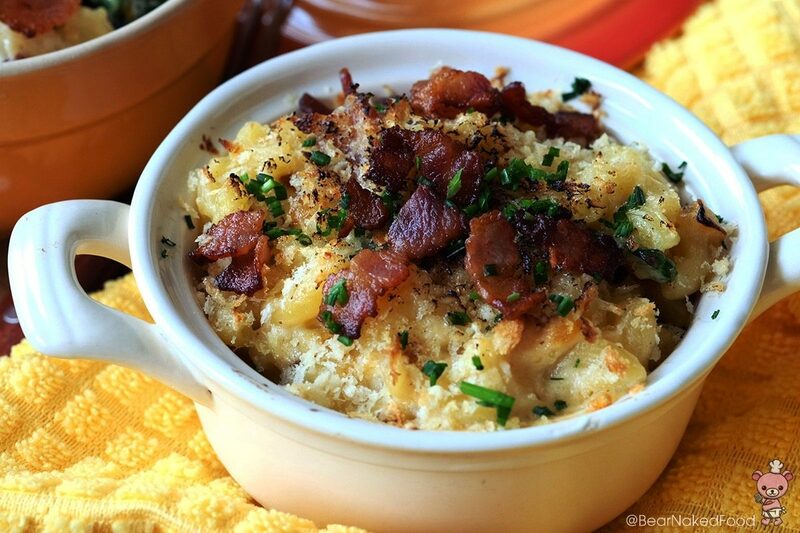 Mac and cheese is well-loved by Americans who see it as their comfort food. 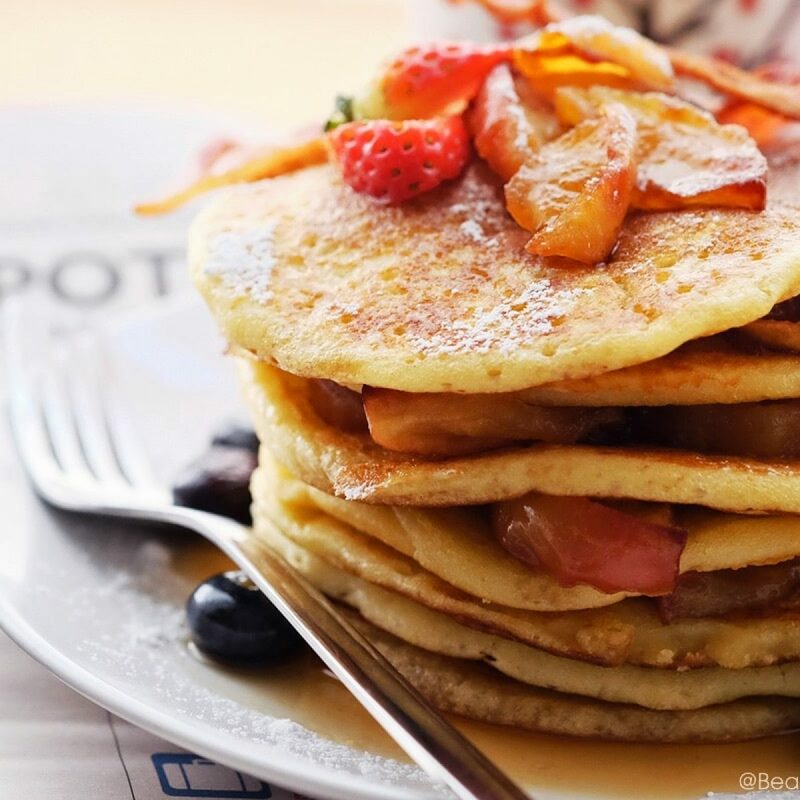 They are fast gaining popularity in our local cafes and restaurants. 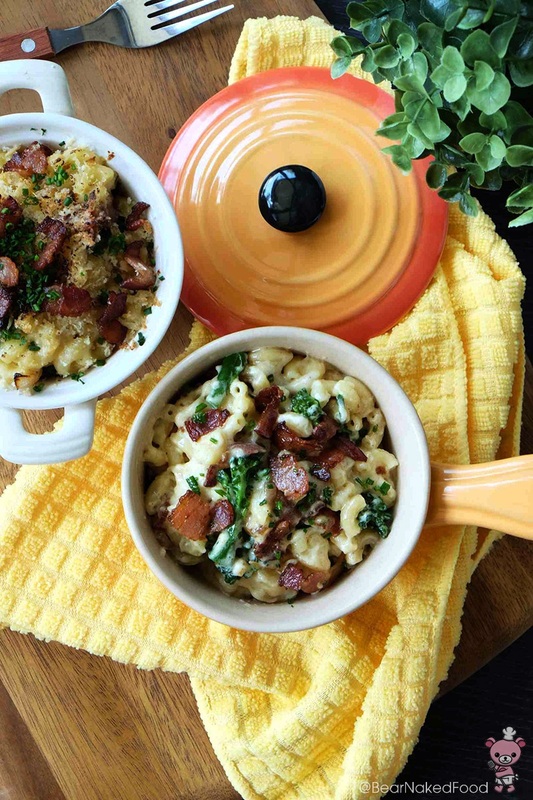 Nowadays, there are tons of different varieties of mac and cheese and you could pretty much add in whatever ingredients you fancy. 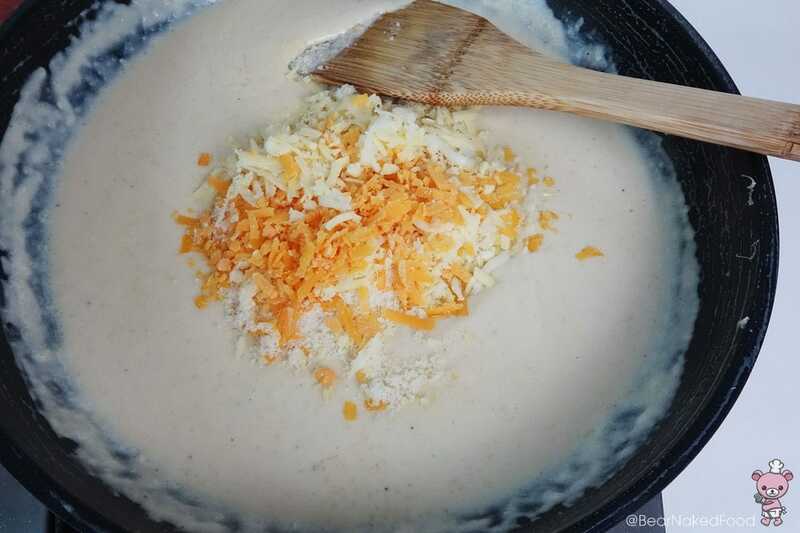 Make your cheese sauce right and create your own version with your favorite ingredients! I ate it straight from the pan without baking it in the oven but I also made a version below by topping it with some cheese and baked it for 10 mins, until golden brown. PS: I reduced a significant amount of cheese from the original recipe as I like my cheese sauce to be on the lighter side. 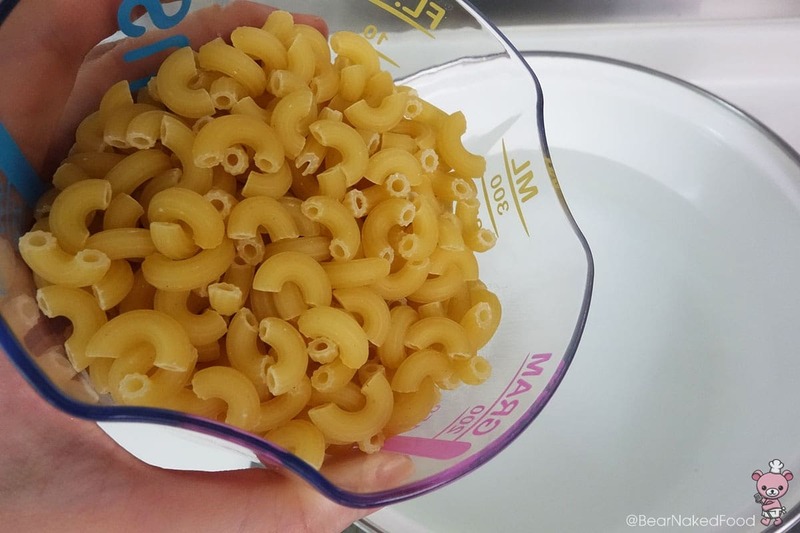 Feel free to adjust and add in more cheese if necessary. 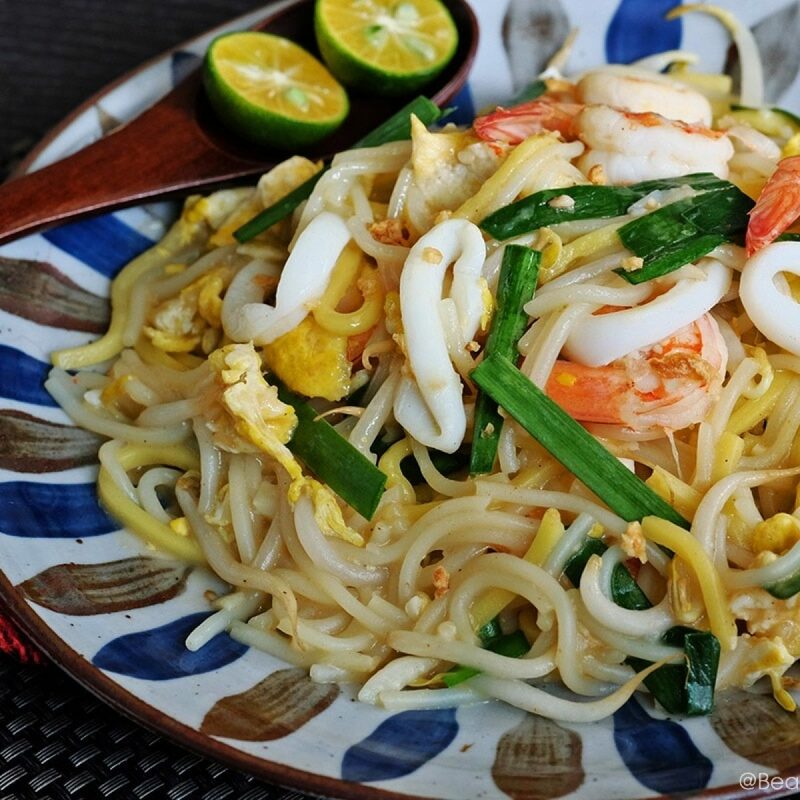 PSS: .Avoid putting mozzarella cheese in the sauce and it will thicken the consistency too much. 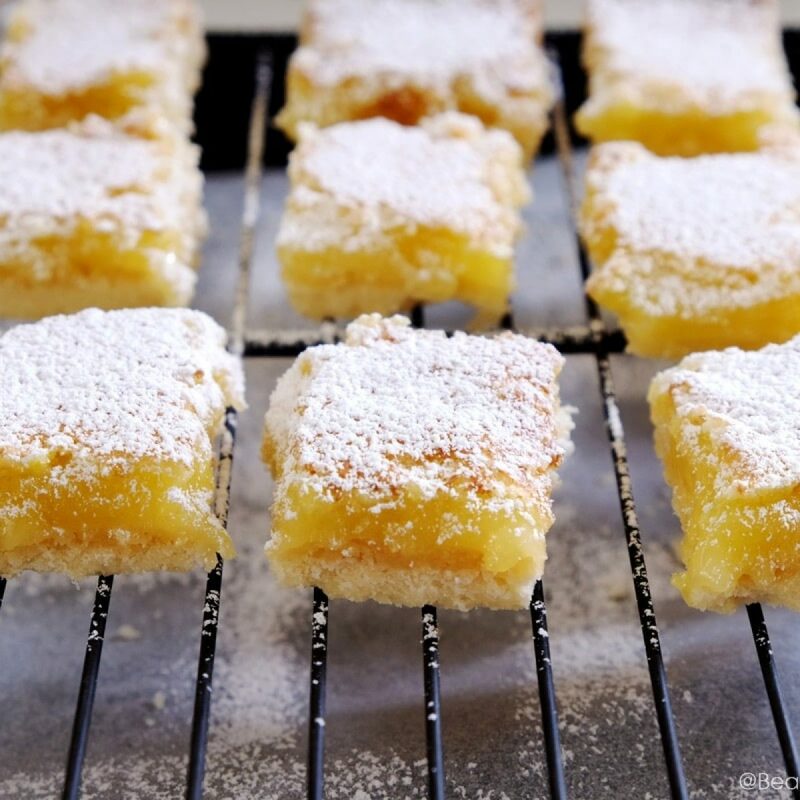 If you really want to use it, sprinkle as a topping instead and melt it in the oven. 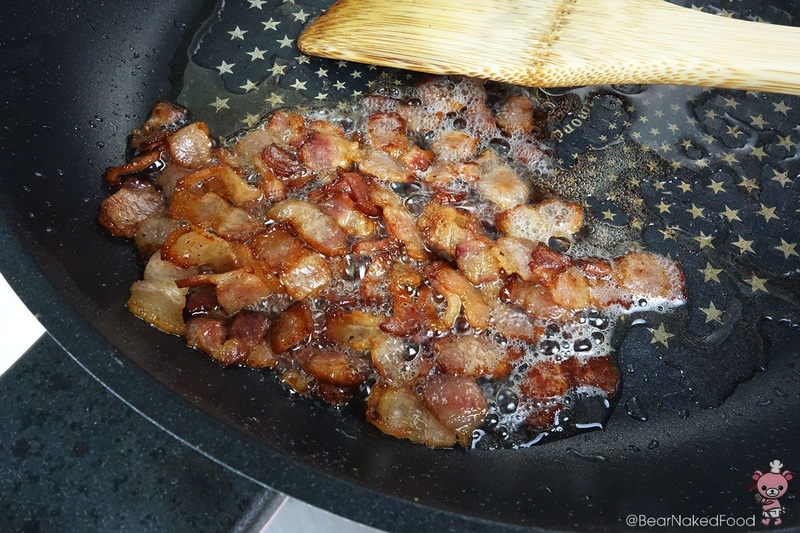 In a large pan, cook your bacon under low heat till brown and crispy. Drain and set aside. 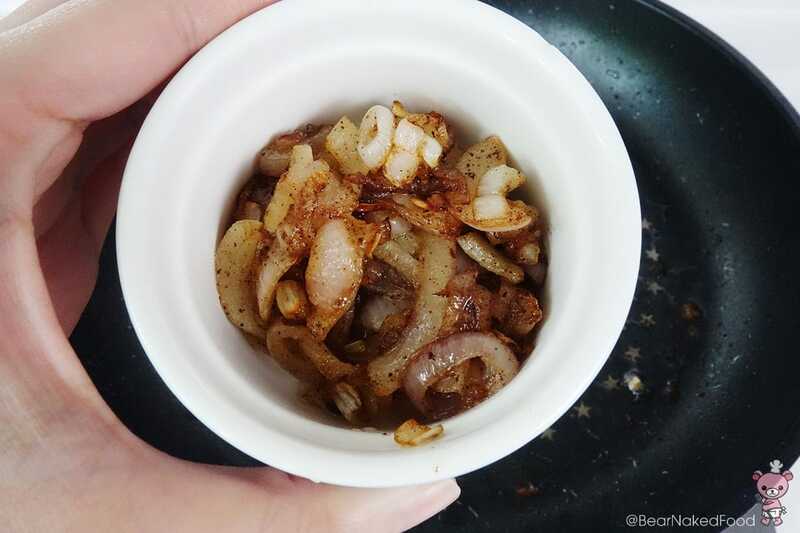 Using the same pan, cook the onions till softened and lightly browned. Drain and set aside. 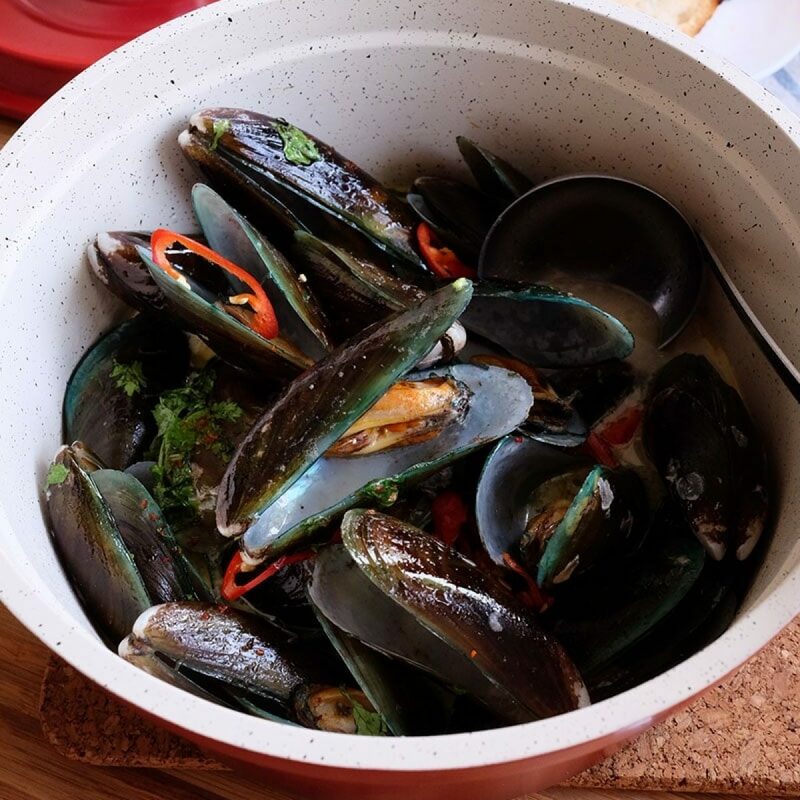 In a large pot filled with ¾ water, bring to boil and add in about 2 tsp salt. 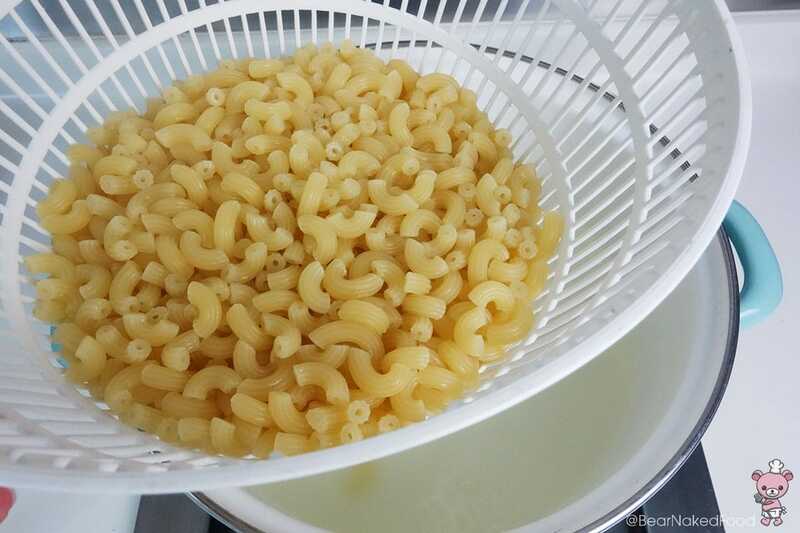 Add in macaroni and cook at high heat. Remove and drain them 1 – 2 mins less than the actual cooking time (please see cooking time on the package). They need to be cooked further in the cheese sauce. Using the same pot, blanch the broccolini in for 2 mins. Drain and set aside. 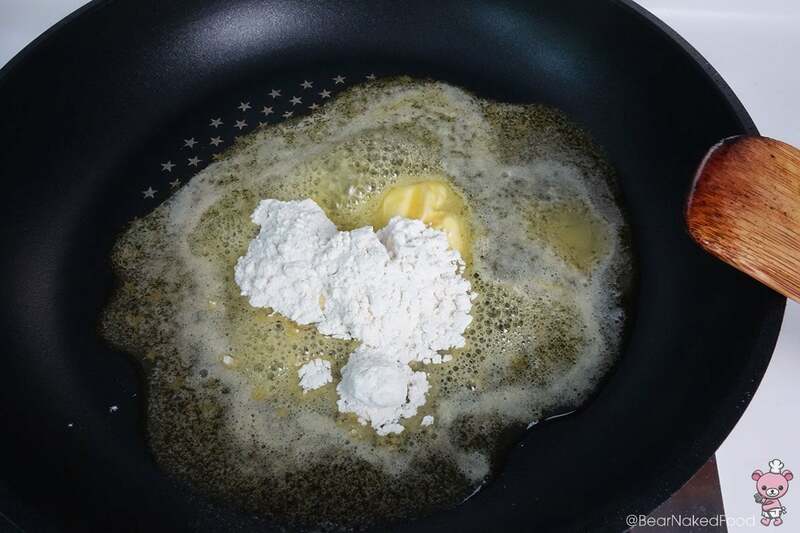 Melt the butter in a large pan and and add in flour. 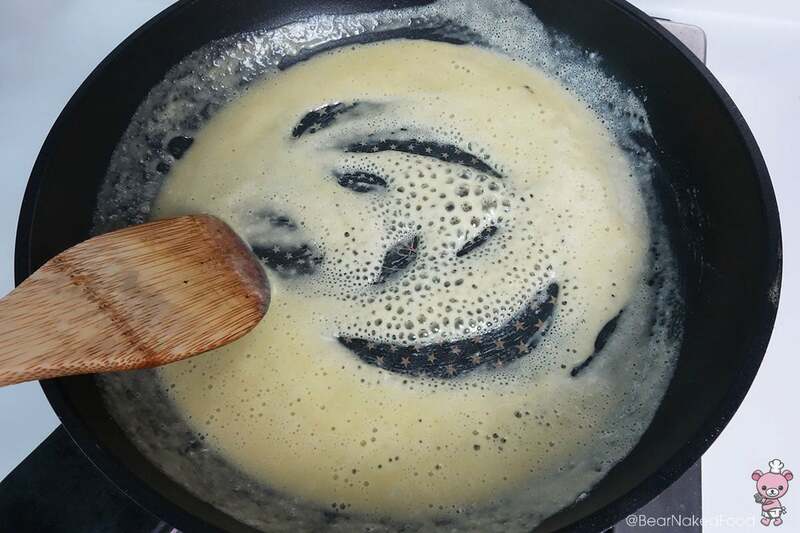 The basic of preparing a roux. Stir and cook the flour for 1 min under low heat. 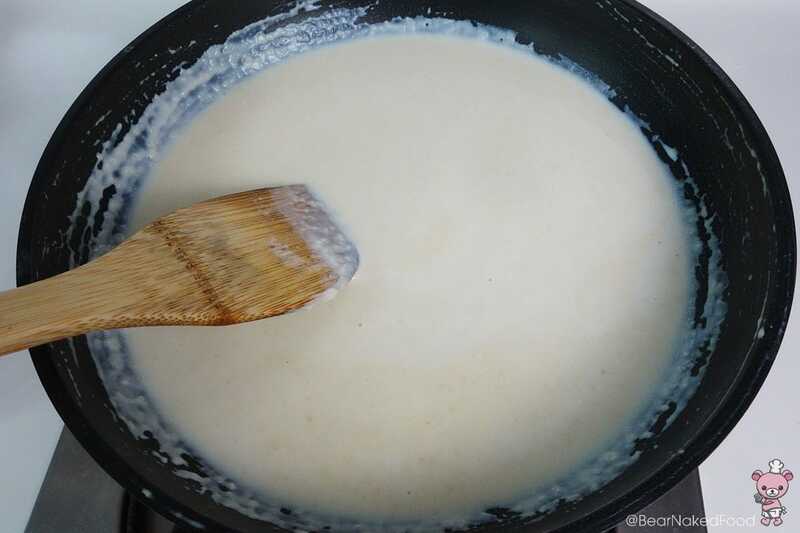 Turn off heat and slowly add in warm milk, stirring constantly to prevent lumps. The mixture will thicken. Turn on heat again and add in salt, optional ingredients (if using) and cheeses. 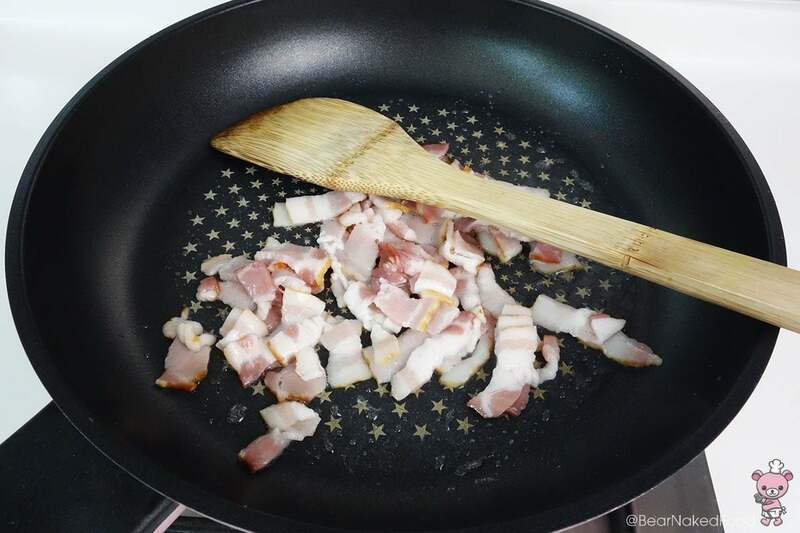 Taste and adjust seasoning accordingly. 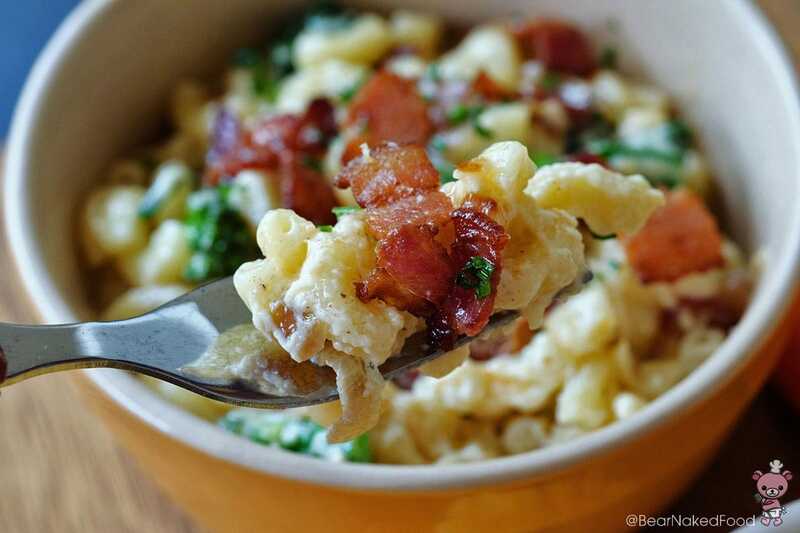 Your cheese sauce is done. 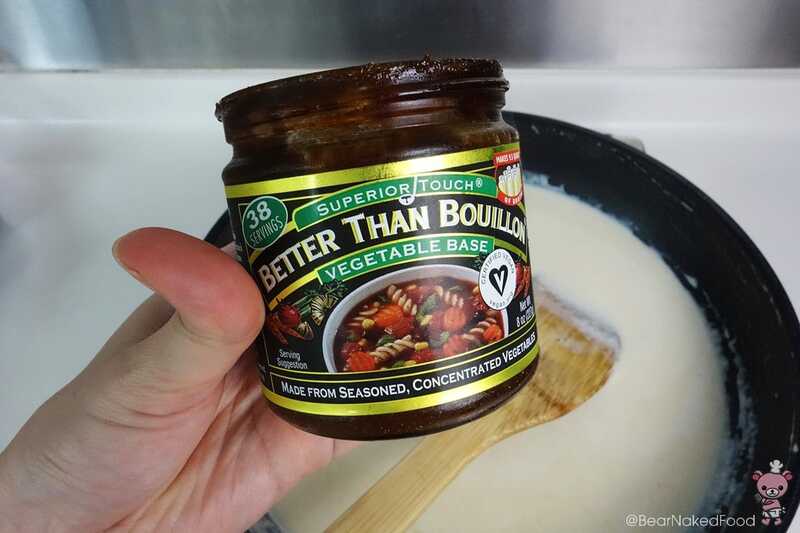 Instead of chicken powder, I’m using this vegetable stock paste. Absolutely in love with the flavor! 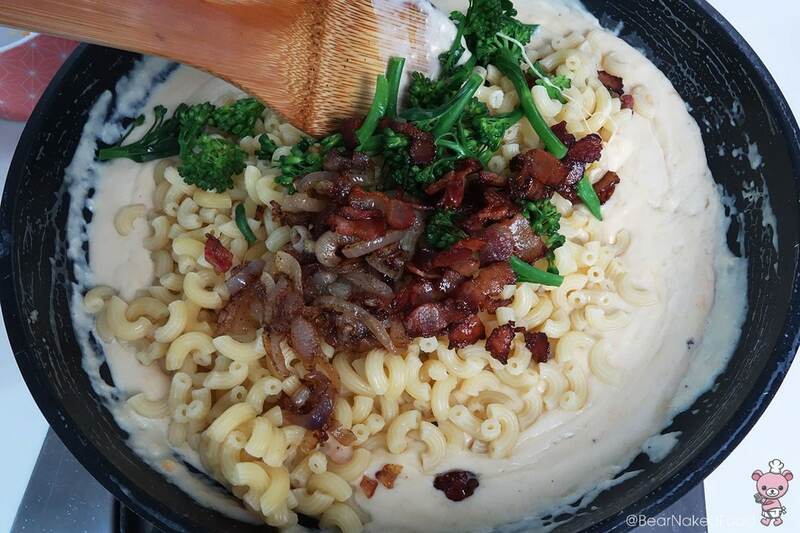 Stir in macaroni, bacon, onions and broccolini, toss well. Serve hot. 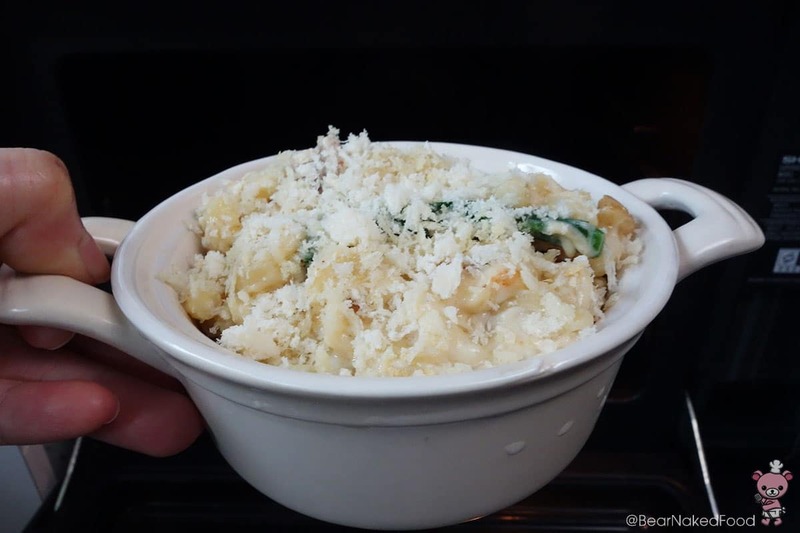 If you want to bake them in the oven, put desired amount of mac and cheese into an oven safe bowl and top with bread crumb and mozzarella / parmesan cheese. Bake at 200°C/400°F for 10 mins, until the golden brown. 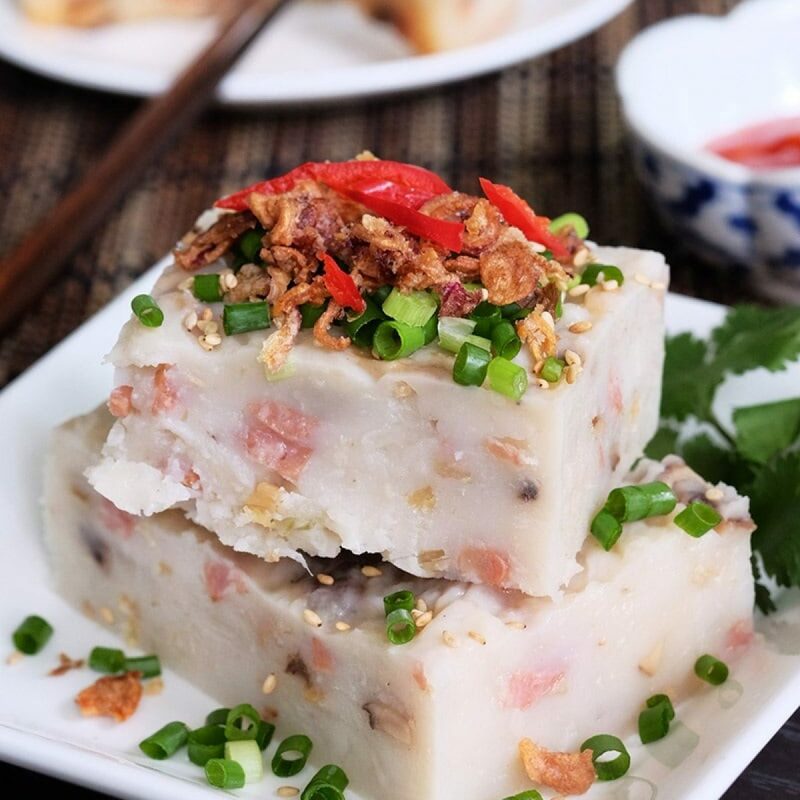 Allow it to cool for 5 mins before serving.